Epson Color Inkjet Scanner, Copier, Fax Just $59.99! Down From $100 PLUS FREE Shipping! You are here: Home / Great Deals / Amazon Deals / Epson Color Inkjet Scanner, Copier, Fax Just $59.99! Down From $100 PLUS FREE Shipping! Need a new printer? 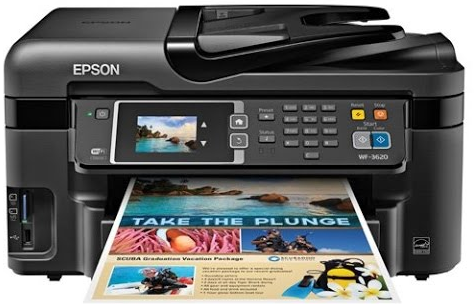 Well, check out this great deal for the Epson Workforce WF-2630 Wireless Business AIO Color Inkjet for just $59.99 and FREE Shipping!